Sir Stephen Gomersall: It is a great honour to be giving this lecture this evening. HIH Princess Chichibu was a charming and broad-minded Patron of this Society and of the many charities to which she devoted her later life. I remember her as a frequent visitor to the Embassy in the 70s, in her dusky blue or apple green kimonos, and occasionally turning up to watch when a British University Rugby team came to Japan. She also personified the affinity between Japan and the United Kingdom which has its origin in our historical ties and in the nature of our peoples. I felt this throughout my years of living in Japan, and my job as Ambassador was made incomparably easier by the goodwill and respect of many segments of Japanese Government and society towards Britain. But we can't assume that things will always continue in the same way: images can lag behind reality, and relationships have to be nurtured and given concrete meaning. 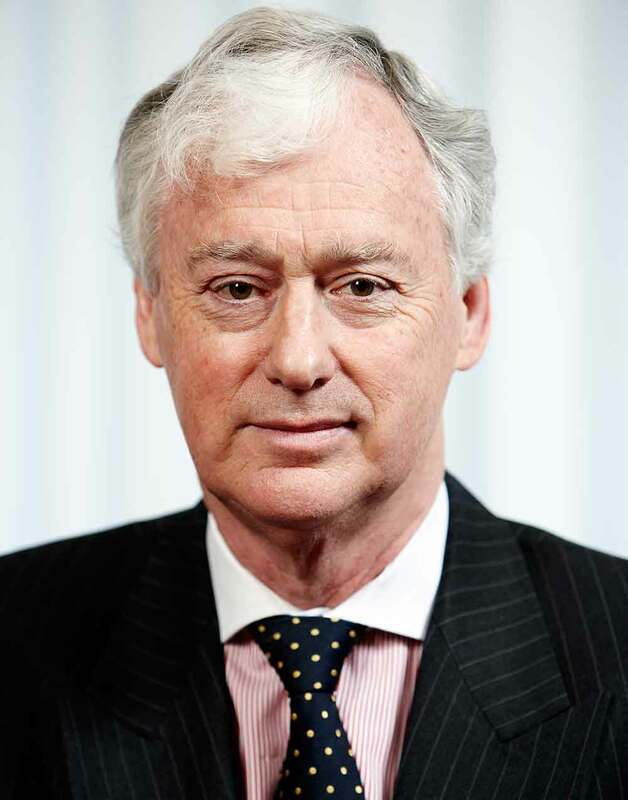 Stephen Gomersall was British Ambassador to Japan from 1999-2004, and Hitachi's Chief Executive for Europe and subsequently Board Director from 2004-2014. He is now Adviser to the CEO, Hitachi Ltd. So I've chosen to talk about why two countries which are so geographically remote and different from each other have a strong affinity and interest in developing our cooperation; and some of the joint challenges we face, and the contrast in the way our two countries have adapted to the huge changes of the last decades. The biggest change to affect the whole world over this period is what is loosely called globalisation. Globalisation can be defined as the results, in economic, social and cultural terms, of the mobility of capital, production and people in a free global economy, and of the consequent international division of labour. This has coincided with a second and more destabilising set of changes in the global structure of power, and the weakening, if you like, of any over-arching system, legal or military, of world governance. This began with the dissolution of the Soviet Union, has continued with the shift from the old G7 to the newer G20, the rise of China in particular, and consequent changes in the position of the United States. New threats of terrorism originating in failed states, and in Japan's case, the threat from North Korea, are part of this troubling mix. One can add a third change – the internet, digital and media revolutions – which to the positive have empowered people outside government, helped development in poor countries and created massive consumer convenience; have made political protest easier, as in Egypt and Ukraine; but on the negative have opened new possibilities for cyber warfare and terrorist recruitment, and arguably in the West at least, accentuated the short-termism and sensationalism of contemporary politics. So I would like to talk, not from an academic standpoint, but from my experience about how I perceive Japan and the UK have been impacted and coped with these in our foreign policy, politics, economy and industry. But let me first explain how the Art of Tea came into the title. A very small act of globalisation took place when my friend and fellow Embassy language-student, Robert Cooper and I decided that the study of Tea might be a good route to immersion in a part of Japanese culture and presented ourselves for induction to the Master of the Tea Ceremony at Tokeiji in Kamakura. This is a very famous temple, and its lightly constructed, almost translucent tea house had a special and very tiny door, hardly the size of a dog kennel, through which new initiates had to prostrate themselves on first entry. This had not been built for gaijin, but Robert, who went first in his jeans, an American shirt and dazzling white tennis socks which he thought sufficiently close to tabi, and I crawled through it into the presence of a shocked but stoical Sensei within. This wizened figure, with a loosely wrapped kimono and upright hair, then intoned to us in courteous but almost impenetrable Japanese some of the history of the Temple, the relationship between Tea and Zen, the necessity of subordination of self, and the rewards which might be ours through striving for perfection in the art of making tea and the service of others. Thereafter we attended almost every week for a year, and slowly learned to be less clumsy in the complex handling of cloths and utensils and better to master the numbing effects of sitting for four hours on our ankles. After some months, what had been a pain yielded to appreciation of the surroundings, the shadows of leaves on the sunlit walls of the teahouse, and even the beautiful kimono of the younger female class members who usually started the afternoon round. Our teacher was the Sensei's daughter, a wan lady who kept a steely eye on our sequence of movements, and admonished us and the other students kindly if our foot strayed onto the border of the tatami or our fukusa slipped out of our trouser belts. Thus a whole afternoon could pass in eight rounds of tea, and hardly a word would be said beyond the ritual appreciation of the received cup. By contrast, the mizuba, with its utilitarian sink and stone floor where the cups were washed would be a hive of chatter among the arriving and departing housewives or men students arriving after Saturday work. And when it was all over, we would walk with painful knees down the temple steps to re-join the noise and fumes of the motorcars and the ding dong of the railway crossing by Enkakuji, heading for the bar. We were constantly encouraged to improve our Art, and always made welcome. We got used to the silence, and began to appreciate that mastering of the physical act of making tea could be a gateway to a sense of harmony, appreciation of nature and the seasons, and communion with a group of people united in performing this simple act of service as beautifully and selflessly as possible. Being drawn into this world was genuinely precious and even cleansing, and in my mind became a metaphor for many aspects of Japanese life and organisation which are built on a preference for the group, harmony, equality, service, perfection and self-discipline. But at the end there was always a real world outside. Now of course I don't suggest for a moment that traditional Japanese art and culture seeks only to create or perpetuate a perfect illusion, but there is a sense in which the British tradition has been to venture out and throw oneself wide open for better or for worse, while the Japanese is more comfortable with consensus, even silence, its own familiar peer groups and known relationships. Japan makes internal pacts and compromises, which for the purposes of this lecture go under the guise of the Art of Tea. Foreign Policy and standing in the world. Britain and Japan have very different philosophical traditions, part of which originates from the 250 years during which Britain went through maritime Empire and industrial revolution, while Japan remained cloistered under the Bakufu. Post-war Britain has remained confident of its place at the international top table, its close relationship with the United States, and its continuing network of international connections. Apart from a moment of hubris in the Suez invasion, it has justified or demonstrated this through its active role in the UN Security council, the retention of its nuclear deterrent and military participation, at a higher level at any rate than our other European allies, in international actions in Iraq and Afghanistan. Japan too has been at its strongest when it has been open and looking outward. The isolation of the Bakufu was ultimately self-defeating, while Japan surged forward after the importation of Chinese scholarship in the eighth century, and became a successful modern state after the Meiji revolution. The post-war Constitution enabled Japan to re-establish itself internationally, and enjoy a period of high growth through access to foreign technology, domestic capital and world markets. It is distressing sometimes to hear the Constitution described as 'anti-Japanese'. Today's Japan has established itself as a country with a peaceful foreign policy, an economic power house making an important contribution to international economic cooperation; opinion polls show Japan internationally much admired except in China and Korea. Japan has significant soft power based on its culture. The baseline for the modern UK-Japan relationship can be set in the eighties and nineties, when Japan was the pre-eminent nation in Asia, and the UK still the leading pro-American voice in the EU. During this time a core UK-Japan agenda was developed, based on the very similar views of what kind of world we wanted to see after the collapse of the Soviet Union. The elements of this agenda are built around free trade, the rule of law, peaceful conflict resolution and support for the United Nations. The UK and Japan were co-architects of the Kyoto Protocol on Climate Change in 1997. Britain enjoyed support at the UN from Japan on action on Iraq and Libya; the UK supported Japan's first deployments of self-defence forces to the Gulf and Afghanistan. This political relationship continued during the Blair-Koizumi period, predicated on strong support for our mutual ally, the United States. The United States is a huge friend and guarantor for both Japan and Europe, but cannot be expected to defend us if we don't defend ourselves. Noticeably it was the United States which flew sorties in the East China Sea not long ago after a particular Chinese threat to the Senkakus, just as it was the United States which did the same when the Russians recently made menacing noises towards the Baltic States. But with a Congress no longer so clearly internationalist or prepared to step into every security breach and rightly demanding more burden-sharing from its allies, Japan and Europe need to have the capabilities, and relationship with America, to fulfil our side of the bargain. What I have described is, and should be, the base state of a UK-Japan relationship founded on cooperation between two closely aligned countries. As global number three and number six economies we each have an important voice – if we can use it effectively – and this in turn depends upon our economy, defence, and international friendships and alliances. But since 2008, a number of clouds have passed across the European and Japanese skies. One is disillusionment with the consequences of the invasion of Iraq and the troubles in the Middle East; another big one the global financial crisis of 2008, which had huge consequences in the EU; and a third the rise, part opportunity, part threat, of China, together with heightened tension in East Asia as a whole. Viewed from Japan, an increased UK/European focus on China came at exactly the point that Japan-China relations began to deteriorate. These are among the factors which have caused both sides to become more preoccupied with issues close to home. Perhaps changes in the Japanese Government didn't help either, but they are reasons why both sides may have questioned whether the relationship was really as important to the other as we traditionally maintained. The outstanding UK response, public and private, to the Great Tohoku Earthquake was a big affirmative, but even so these questions remain in the air. Compared with our past, some people will ask whether in fact we are now looking at two nations in retreat. The reaction in Britain to UK deployments to Iraq and Afghanistan, at the popular level, has been quite deep. Although both missions were partially achieved and people were very proud of our troops, these nonetheless exposed the difficulty for our relatively lightly armed forces in dealing with unorthodox warfare. Increasing resources had to be committed with diminishing political returns. Since the end of the Cold War, successions of defence reviews have eaten away at the numbers of personnel and front-line units in our forces. And our spending – though better than most Europeans, is perilously close to the minimum 2% of GNP level expected by NATO. A second is the dominance of domestic issues in politics, and sudden concern about the future of Britain as a United Kingdom. We are now facing a general election. The battle-ground is likely to be the economy, where the two large parties – Conservative and Labour – in reality have not a lot dividing them on economic philosophy, and not a lot of room in any case for manoeuvre in trying to reduce the national deficit, but still appeal to the electorate daily in terms of what benefits they can deliver to their traditional followers – what Labour refers to as 'ordinary people', and the English middle class and better-off voters for the Conservatives. New promises over the health service, welfare provisions, taxation, university tuition and the like burst daily on the airwaves and then fizzle. This is a rather narrow-band form of politics over how to divide resources within the society to the benefit of one group or another, with very little search for consensus on these difficult issues. Since party membership has fallen dramatically, it is not certain how much core loyalty exists to these parties within the electorate. In the meanwhile an anti-European, anti-immigration party has been taking support from both major parties; and the Scottish National Party, after losing the referendum on independence by 55-45%, has bounced back and will certainly press for further separation should it hold influence in Westminster after 7 May. One plausible factor behind this fragmentation of current British politics is that globalisation has created different categories of winners and losers from those familiar in the traditional class divide, and that devolution has actually broken the Westminster system of politics. Regional disparities, particularly between London, the North and Scotland, are now accentuated by rhetorical politics. Another element is that across the country there are groups of people, mainly white, older or unemployed, with lower skills or shrunken pensions who feel threatened by immigration and the cutting back of the welfare state. Concepts of community and identity have become confused. While the Mayor of London can revel in the vigour of London's 'melting pot' society, in other regions the disparity of wealth and opportunity can create an anti-metropolitan, anti-traditional party backlash, resulting in a large increase in disaffected or floating voters. The third is the UK's relationship with Europe, and here again there is a parallel with Japan. The founding purpose of the EU was to achieve peace in Europe after the Second World War through economic integration. It achieved this spectacularly well between France and Germany, together with rising living standards for the poorer agricultural regions of Europe. The same logic applied in the eighties and nineties, when enlargement was extended to Greece, Spain and Portugal who made the transition from dictatorship to democracies. Mrs Thatcher recognized this and argued not only that the Single Market should be accelerated, but that Europe should act together in international affairs whenever it could achieve more by speaking with a single voice in the world. She vehemently opposed the idea of one government for Europe, but in reality the major countries have never wanted that, and the threat disappeared when the EU was enlarged to 26 countries in 2004. Game set and match to Britain, you would have thought. However, instead of celebrating the victory of Mrs Thatcher's vision of Europe as a voluntary Union of sovereign member states, parts of the media and Conservative party have continued to brand the European Union as a conspiracy to take British money, to over-regulate our life, and limit the UK's national sovereignty, and this drip, drip, drip of anti-EU argument from within his own party led Mr Cameron to open the Pandora's Box of a referendum on our continuing membership in the next parliament, if he is re-elected. The current bone of contention with the EU is on the impact of the free movement of people, a basic principle of the Union, which is blamed for excessive immigration, even though the UK economy has desperately needed foreign labour to function. The Government says it needs 'reforms' to recommend a yes vote, but is not yet specifying what those reforms need to be. We know what Japan thinks about this, because it has openly said that Japanese investment in UK is for the EU. And the Americans have equally said they hope the UK will remain a strong voice in Europe. Former Prime Minister John Major has argued, most cogently from the Tory side, that if outside the EU, the UK would be 'much diminished' internationally, and would still have to conform to EU regulations while having no part in deciding them. That is why I am not so pessimistic about the eventual result, but it is an issue we could do without when the Middle East is in tatters and the Russians are in the Ukraine. This invites comparisons with Japan's position in Asia. The rise of China gives China a weight very like that of Germany within the EU, in terms of regional balance, but unlike the EU, there is no regional framework to moderate tensions between Japan, China and Korea or build a collective Asian Economic Community. A recent Gaimusho briefing I attended on Japan's security environment gave great detail on the number of China's incursions around the Senkaku Islands and unilateral moves in the South China Sea; but was designed to show Japan as the sinned-against party, and Japan's self-restraint, with no discussion of possibilities for improving relations. Maintaining balance with China requires patience and steel. Economically Japan cannot re-surpass China, nor can it take the support of South East Asian countries for granted should it come to a stand-off. Given the speed of increase in China's defence spending, a posture of increased preparedness on Japan's part, and ability to cooperate more with allies, is certainly justified. Even without constitutional change, Japan's defence doctrine is evolving fast with regard to collective self-defence and military exports, though not the percentage of defence spending in the budget. The UK would I'm sure support Japan's becoming a 'normal' military power, but the manner in which it is done will have a considerable effect on the acceptance of regional countries and allies alike. If based upon deterrence and proportionate response to potential threats, it will be well understood. However Japan does suffer in the view of its allies whenever things are said and done politically which look like poking the adversary in the eye. The counterpart of deterrence has to be engagement, and building structures for the long term which will moderate trilateral relations for the better. The economic interdependence between Japan and China is already such that both countries fortunately have a strong interest in keeping tensions within bounds, and this can be further built on. A Kohl/Mitterrand moment, when the two leaders held hands in a French war cemetery, looks a long way off in Asia, but Mr Abe is a strong leader and, though I know it is a much dismissed view here, there are useful lessons to be learned from the political achievements of the European Union. Benefits must also come from encouraging young people to travel between Japan, China and Korea. Though I've discussed China, I haven't found much so far to say about TEA! The concern most frequently voiced among Japanese friends is lack of interest of young people in foreign study or travel, and the very poor level of attainment in languages among Japanese businessmen, politicians and academics, leading to Japan being discounted in international gatherings, and leaving the floor open to competitors, China particularly, to exploit. We are here in a university with high standards in international communication, so I won't stir that particular pot, but revert to the issue later in the context of business. To summarize the story so far, I do think voters respond positively to politicians who have a long-term strategy for strengthening their nation and can articulate to their people where they want their country to stand in the world and what needs to be done. Mrs Thatcher's appeal to many beyond her own party was that she was prepared to confront the reasons for the UK's economic decline and do something about it. And two very important points underlying her policies were pretty immutable truths of international affairs – the first being that a nation's influence is in direct proportion to the strength of its economy; and the second, that in a world where threats can come from unexpected quarters, nations need to secure their own defences, through adequate armed forces and strong alliances. Though we are geographically distant, it is very important that the UK recognize its interest in East Asian Security, and Japan continue to play its part in Europe. There would be no better way of symbolizing that than the early conclusion of the EU-Japan Free Trade Agreement. Let us turn now to the economy. Here we see rather greater contrast. Britain has benefited hugely from globalisation. As I see it, Japan has been slower to adapt but has strength in depth. As you know, Britain went through a severe economic decline in the 1950s to 70s when our largely nationalised heavy industries, and many of the people who worked in them, were cut back as a result of global competition, from Japan among others. The Thatcher government finally brought labour market reforms, privatisation of public assets, and encouragement of foreign investment into manufacturing. The liberalisation of financial markets established London as a global centre for financial and other services. Manufacturing has declined in volume, but improved in quality, and the UK remains a world centre for research and innovation in universities. This structure continues to form the backbone of the UK economy, with the state sector – government, education, health and public services, accounting for 43 percent of GDP. The relative flexibility of our economy, and the ability of the pound to float against other currencies, account for our outperformance of other Eurozone economies in the last two years, though that is not to say that there are not considerable weaknesses as well, as I will come to. I remember being chided by Japanese commentators for the 'Wimbledonisation' of the UK economy – acting as host to foreign players but having very few national champions. And I remember a huge joy when for a while Japanese Sumo was dominated by Mongolian and Baltic wrestlers. However, whether you call it Wimbledonisation or having an open economy, it accords with British traditions and basically works for the UK. It has continued apace, with the government welcoming Chinese investment in UK infrastructure, Tata buying our steel and automotive companies, Japan investing in UK energy, etc. It is open house. And of course we have the advantage of English being the international language of business, the south side of Hyde Park being the recreational space for thousands of French families. From an economic standpoint, our two major challenges are still the public finances and education/skills. Japan by contrast has been harder hit, arguably because it has protected its domestic market more. In the manufacturing sector, Japan has huge assets at home – very high levels of engineering, a disciplined workforce, and is a global leader in quality. But it now has if anything too much hard productive capacity relative to the size of the domestic market. Twenty five years ago, protectionism in the US or Europe was a reason for Japanese companies to transfer production overseas, but now the reason is demographic contraction and the extreme difficulty of making substantial margins at home. In our own company, though everything has been done to avoid loss of domestic jobs, the ratio of workers in Japan to locals overseas within our workforce has fallen from two-thirds to nearer half. Twenty years ago, it was already evident that Japanese companies trading abroad, and therefore exposed to global competition, could be extremely flexible even in the face of the yen moving from 100 to 70 to the dollar. On the other hand, domestic sectors – retail, banking, insurance companies – with only other Japanese firms as competition, were very slow to consolidate and restructure, and as a result suffered in some cases slow deaths by overcrowding and indebtedness. In high tech one found not Wimbledon but Galapagos – whereby mobile phone companies for example took their domestic market to very high levels of specification, making it difficult for new entrants from outside to come in, but sacrificed the opportunity to determine the global standards being set in the international market, ceding the leadership in the process to the US and Korea. Even now, Japan's percentage of Foreign Direct Investment to GNP is the lowest for any OECD country, and with most markets matured and fully supplied by domestic incumbents, it is hard to see that changing. The common thread behind many of these stratagems has been to avoid disruption to the Japanese market through having foreign competition within, and to maintain employment – in other words the policies of the TEA HOUSE. And yet these have not staunched the hollowing out and increasing disparity of wealth in rural Japan compared with the metropolis. What is far more likely to stimulate new domestic growth is more competition from new players, market reform to liberate new forms of industry – for example in high-volume agriculture – and population growth. If the aim is to increase domestic demand, 'where is the third arrow?' is still the key question. So far, it seems, quantitative easing has produced a short term benefit for large corporations in stock values and profits from overseas earnings, but these have not yet trickled through to wages and domestic consumption – and could be another example of a policy which produces contrary results by shrinking from reform. Given the UK's shortage of skills, and Japan's shortage of young people, it's not surprising that Immigration is a hot potato for both countries. Britain has always had open doors to immigration for economic reasons. During our post-war recovery, we accepted migrants from our former colonies to do low-grade jobs. This was brought home to me when I acted as a part-time census officer in 1971, and discovered that a single road of terraced houses in inner London was neatly segregated between old white widows, with their cats and milk-bottles, the Mediterranean Italian and Greek migrants, never there to accept the census form because they were presumably out partying, Indian and Pakistani families fearful of the authorities and barely prepared to respond from behind a chained door, the old Caribbeans from Jamaica and Trinidad, unable to write the form themselves, but proud and welcoming to their tidy homes, and other black working class households, only scraping it together economically, and often working all hours. Since then the Asian communities have spread to many Midlands and Northern cities and become middle class. They have high aspirations for the education of their children, who look like Asians but behave like their British peers. These communities are now becoming represented in local government, teaching, broadcasting, Parliament and even the Cabinet. They are increasingly the backbone of our medical services. Because of the turmoil in the Middle East, there is a portion within the Muslim communities, which is prone to radicalisation by fundamentalist Imams or jihadi social media – and a constant worry to our security services. Since the 1980s the Government has severely curtailed further immigration from non-EU countries, so that these communities are now to all intents and purposes indigenous and there is no way or intention to repatriate them. A second source of immigration has been the European Union. Freedom of movement is a basic principle, under which many Brits have gone to work or retire in Europe, and many Europeans, primarily from Poland and Eastern Europe, have come to work in the UK. They come under a legal right, but in significant numbers. Net migration into the UK was 298,000 last year. A third group are refugees from conflicts in Africa and the Middle East – Somalis, Kurds and North Africans, entering illegally from other parts of the EU. This is a humanitarian issue for the EU, with the burden falling much more heavily on France and Italy. It is the inability to limit the second category of able-bodied and work-hungry immigrants from EU countries which arouses the most controversy, especially in the run-up to an election. Go into any British hotel or restaurant, and you will find Spanish or East European receptionists, waiters and cleaners. Look for a builder fix your house, and a Pole will probably be more reliable. This shows a key weakness of the British economy, which is a shortage of skills, and also gives rise to complaints among the unskilled population that 'foreigners are taking their jobs'. The right-wing UKIP party then lay this all at the door of the EU, claim that migrants are defrauding the social security system, and that our country, saved by our Forefathers from German invasion during the Blitz etc., is is now being taken away from us. Fortunately this is a war of words, rather than on the street, but still a powerful message to some older voters. In reality EU residents in the UK, of whom there are 1.4 million, pay much more in taxes on their income than they consume in social benefits. And it is inconceivable that the health service could function, or all the public construction projects planned in the next decade be completed, without a heavy involvement of foreign labour. The government is seeking to provide more welfare to work and apprenticeship opportunities to young British people. But the danger is in the effect this could have in the short term if we are faced with an EU referendum. Japan's situation is completely different, but still has to confront the reality that Japan will inevitably decline unless it can find an answer to its ageing and shrinking population. It is hard to envisage permanent immigration from Asia to Japan of the sort Britain accepted two generations ago, even though the British example on assimilation is quite encouraging. It is equally implausible that artificial intelligence – robots that substitute for human workers – will be able to build roads, sewers, or power stations in the future. Emotion will have to give way to pragmatism. And more work permits for qualified foreign workers will have to be introduced to support industries like construction and transport and increased foreign tourism. When this happens on a significant scale, international marriages are bound to occur, and issues of nationality of husbands and children arise. I came across such pragmatism ten years ago in Akita when a number of EU Ambassadors were invited by the Governor to give a seminar on attracting foreign investment into the Prefecture. In the evening he offered a splendid reception with three entertainments; first the local lads demonstrating the Kanto-matsuri with lanterns on poles; second a Japanese lady of advanced years performing an elegant geisha dance, and third a cacophonous bunch of Filipina wives of local farmers performing a bamboo dance. So this topic is a slight deviation from the Anglo-Japanese theme but is critical to the future of both countries, and one that touches companies like mine who need to become more globalised. Globalisation poses tough challenges for Japanese companies, but is the only way forward. Now let me turn to the experience of my own company. Hitachi, with its characters for the 'rising sun' and its resonant creed of 'Harmony, Sincerity and Pioneering Spirit' has often been taken as a proxy for Japan itself, and its production did indeed exceed 1% of Japanese GNP thirty years ago. Today it is very good example of a company having to make a profound transition in order to grow within the global economy. Hitachi started out as late as 1910 as a motor-winding outfit for the mining industry in Tohoku, but quickly advanced into power generation, electrical control and traction equipment. These elite divisions were the breadwinners and training grounds for generations of Presidents. The company creed was monozukuri – perfection in manufacturing – and ochibo hiroi – wasting nothing and learning from experience. Hitachi also prided itself on its research capability, clustered in leafy campuses on the Ibaragi hillsides. So large was the company in the area, that when the Tohoku Earthquake hit in 2011, it suffered structural damage to 2000 buildings. When I joined I was impressed by the Hitachi's serious ethos, and by the dedication to quality of product. I am a proud employee and would always risk my shirt on the company's ability to deliver a product. I did however notice that the grand men who ran the company back then seemed very out of touch with the international world, that the organisation was very hierarchical, that a company of 380,000 people worldwide behaved as if it were a universe in itself, and for all its technological excellence, it produced rather modest profits. This great company was not just a tea pot, it was a TEA PLANTATION! I say this to emphasize how far things have come since then. Much has been written about the contrast between Japanese and UK companies, most notably Ronald Dore's book 'British Factory, Japanese Factory' of 1970 contrasting Hitachi and GEC, and a much more recent book by Inagaki and Whitaker in 2005 called 'The New Community Firm' . This also charts the rise and decline of Hitachi as a classic Japanese 'community company', with very little diversity, but in which loyalty was repaid by security. By the late '90's the need to globalise to survive was already being internally articulated, but the authors found that the policies touted to achieve that were implemented with lip-service only. Comparing Hitachi with its American equivalent GE, then under Jack Welch, it concluded that a company dedicated to looking after its core community of Japanese permanent employees would really struggle to introduce the degree of performance management and profit-oriented decision-making of a western enterprise. This was the company I joined in 2004 as the first foreigner made responsible for proposing and implementing an overseas regional strategy. This job has given me many excitements, and a ringside seat in understanding the roots of the company and the huge changes and sacrifices which it has had to make to get to today's position. For example, at that time we were making televisions. Rather than have other people assemble them locally to our design, using components taken from the market, our management had invested huge sums in a modern factory in Miyazaki, employing thousands. One by one the shining models came out, each supposedly a winner, but never at a price at which we could make a profit in the European market. The simple fact was that there was global over-supply, and though we could make supremely good products, others could do so for half the price or less. This story was repeated in semiconductors, displays and hard disk drives, leading in 2008 to losses at a level never seen by any Japanese company, and was the origin not only of a decision to exit these commodity sectors, but also to bring in a new management which reset the company's strategy to the provision not of products but of solutions, not in the consumer, but in the global social infrastructure market. Slowly this is paying off, but again it requires a shift in organisation and management which challenges every tea-drinking tenet of the so-called community firm. In value creation, the key is no longer production, but innovation: this requires individualism, and the breaking of internal silos. It needs teamwork and people with a combination of disciplines, rather than those who have perfected a single one. Monozukuri still matters, but is no longer a winning ingredient. Japanese companies are very technology rich; but to take that technology overseas in the form of infrastructure projects requires a whole new range of skills which do not exist within a traditional manufacture and export organisation. Local political knowledge, commercial, project finance and management capability, and usually a local engineering base for customisation of technology; and the development of local supply chains to match global or local prices. It requires the whole factory-led power structure to be turned inside out, and authority shifted to the front line, where the customer is. This is a complete break with the tradition whereby power resided with the factory side in Japan, to one where more commercial people outside Japan should become the key decision-takers. Sales units which previously handled foreign markets from Japan become redundant. It also means that the system of promoting domestic engineers over a lifetime into the leadership of the big business units will also evolve, marking a huge shift in career expectations. In total, a gene pool heavily weighted to engineering needs to become multifaceted, and above all, international. This means changing the system whereby operations overseas are managed by expats on two or three year tours; it means promoting non-Japanese into leadership positions; it means measuring performance objectively, and promoting people with leadership potential much earlier in their careers; and recruiting young people with different backgrounds and skills. Implementing such change takes a long time. One of my annual duties was to lecture the new intake of 800 young Japanese for 30 minutes on what it is to be 'global'. My message was simply to travel, absorb, and think for yourself. 'Talk to them in English' the Chairman said – 'it will be good for them'. Well I tried, but since language was never among the entry criteria, the result was a predictable blank wall. Reverting to Japanese, I then joined the other executives for a walkabout among the new recruits at the drinks which concluded the induction ceremony. I pitched in to a group of young men, who shied away from me as if I had the ebola virus. I persisted in English for a while, but finally said to them in Japanese, 'oh well then, what business group are you due to join?' 'Ah, we, we're the baseball group!' came the reply. The community firm lived on. More encouragingly I found two young girls who seemed more anxious to engage me in conversation. Not realising their nationality to begin with I engaged them in Japanese, whereupon they explained that they were foreign graduates, one Korean and one Chinese, from technical universities in the Kansai. 'Goma-san', they said, still in perfect Japanese, and looking around the room of 800 future colleagues. 'What should we do to survive in a company like this?' I thought this question was a sign of great promise, and advised them to win respect as professionals, and voice their own opinions, firmly and politely. Diversity is a weak point in many organisations, not only in Japan, but often proves in practice to be liberating for all concerned. The most enjoyable team I ever worked in was the UK Mission in New York in the 1990s where over half of our front line negotiators and the entire legal team were women. It is part, but only part of creating a healthy atmosphere of camaraderie and internal competition within a team. Unfortunately the role of many good women in the company is still to make TEA. Governance is another vital topic, in the light of the Olympus and other similar failures. Part of the greatness of the Chairman who rescued the company from its disaster of 2008 was to bring diversity into the Board of Directors. I was quickly followed by three other non-Japanese Board members, two Americans and one Singaporean, all eminent in their fields. The Japanese Directors too were business men and women of deep experience. Simultaneous interpretation was provided, but it soon happened that conversation would flow spontaneously into English as well. More than that, with the introduction of foreigners who thought it was their duty to speak their opinions in Board meetings, the Japanese members also perked up and became much more interested in debate. It was a huge leap forward. By any international standards, the Board was a model. But my conclusion was that it is not the composition of the Board, but its degree of oversight and influence which is the real issue. The key shift is to move from a situation where the Board simply gives legal authority to decisions already made by the Executive, to one where the Board also debates strategy and can examine the management of the company. In other words, governance should be not TEA, but SPARKLING WATER. Huge contribution of Japanese companies to the UK economy. Japanese companies have made a huge contribution to the UK economy and to the Government's aim, still only half achieved, of rebalancing the economy towards manufacturing. It is estimated that they provide 140,000 jobs, and most notably the surplus in automotive exports that the UK now enjoys is in large measure due to Japanese (and now significantly Indian) investment. Hitachi's two largest overseas projects are coincidentally in the UK, and both very visible and vital from the point of view of renewing the country's rail and power infrastructure. There isn't time to go into detail, but in September we will open a factory in North East England to build the next generation of intercity and commuter trains; and the second is to plan and hopefully build a privately owned and operated nuclear power plant based on our latest Japanese operating design. As a Brit of course, I'm very proud that the company is prepared to commit such huge investment to the British market. But from a company point of view, what is most encouraging are that these are transformational projects in the company's journey towards becoming globally competitive. In the rail case, the decision has been taken to put the global headquarters of the rail business in the UK. Even Japan now comes under this organisation. And that is the consequence of the exceptional foreign leader brought into the business twelve years ago. In the nuclear case, it was a courageous decision to take a business which after the Fukushima earthquake had suffered a sudden domestic collapse, and re-orient it towards the global market. It is anything but simple, but a hugely motivating challenge. On the UK-Japan relationship, I believe there is a huge reservoir of good will, common interest and complimentary talent. To sustain it we should focus not on sentiment but on what we can do together to address today's issues – trade, conflict prevention, international development, anti-terrorism, and including now collaboration in defence preparedness. With Japan there is a bond of trust, magnified by the contribution Japan continues to make to the UK economy and its support on international issues. This, and our common values, should be reflected in a special quality of political relationship and cooperation. Frequent dialogue and mutual openness, even in addressing our problems, is hugely valuable. We must commit to burden-sharing with the United States through having sufficient readiness to look after ourselves in the first instance. As far as Britain in Europe and Japan in Asia are concerned, retreat into isolation is an illusion and a dead end. We need to make these relationships work, and business should lead both countries to sensible policies. More generally on world affairs. Putting the inner community first is a very natural and admirable human instinct, but as a principle of politics or business organisation it does not work. Because we live in a globalised and competitive world, we have to be strong and efficient. More good and strength comes through openness and letting talent rise and lead. There are many ways of binding an organisation together. The greatest is shared pride in success. Community, charity and compassion is precious but belongs at level of local and personal life. Good politicians and business leaders are those who allow creativity and diversity to flourish, but can also articulate a sense of direction and what is right and wrong. Because of my background I have spoken with the perspectives and beliefs of someone who wants to see Japan and the UK play a role in shaping the world, and companies like my own be Japanese but international at the same time, realising their full potential value in the global market place. I accept that that is not everyone's view. It is possible to argue that living standards in Japan are good and creativity abundant in many areas; and that somehow, even without disruptive change, Japan can keep its head down and will find ways of dealing with the issues we have talked about. As you gather, my response would be that it is very difficult for companies in particular to maintain a static state in a competitive world – you are either a competitor or not, though you can change from one to the other; and the same goes, as we saw after the Thatcher reforms, for nations too. But it is also a slightly regretful belief, for as I love this country and its attachment to personal loyalty and all the things we enjoyed in that first tea experience, I understand why many, perhaps in this audience, might take that view.